Remove the display to replace it or access the computer's internal components. Hello Sam. I appreciate the reply and have noticed you’ve at least updated the guide to note at the end a clear picture of what is sold, and how it differs from what you pull off of your iMac. At iFixit Support’s advice, I am now attempting to transfer the cables. However, now I’m noticing a whole other set of issues. 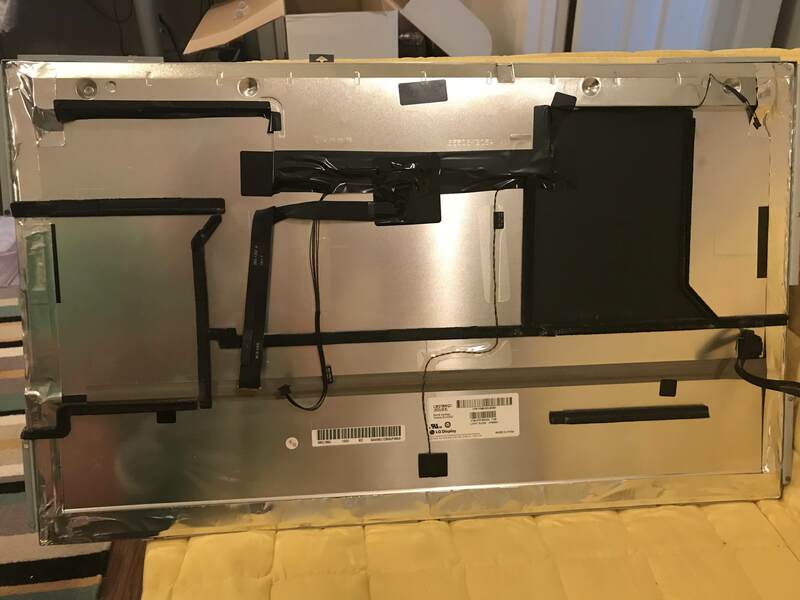 There is not only a whole row of fabric covered cushion on the bottom of the display I’ve removed from my iMac, as well as a complete housing frame not even mentioned at all in the guide. The cushion may be part of the housing frame, but I cannot easily discern that. 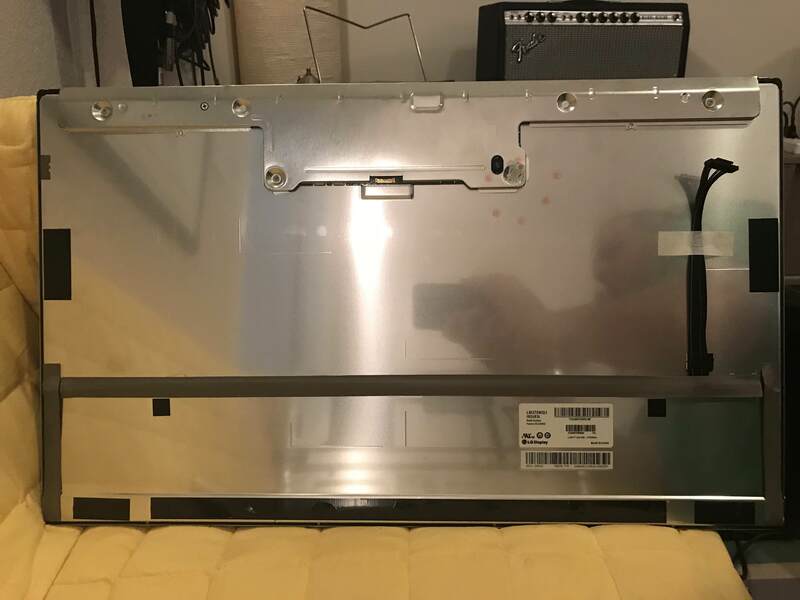 I’ve removed what screws I can see from the housing frame and it is not coming free from the old LCD. This housing frame is what holds the magnets that the front glass panel sticks to. Based on that and the issue with the cable transfer, I’d advise removing this product and guide from your website until you can provide better support for this DIY replacement. VERY FRUSTRATED. A useful tip when removing/replacing the display: it’s quite hard to get at the delicate brass LCD cable if you are doing so by lifting up the display and peering in underneath while working with the iMac horizontal, on its back. I find my hands get in the way of seeing the connector, and it is also at just the wrong distance for my poor eyesight; not great for what is likely the most delicate connector in the whole device. A much easier way to disconnect the cable is to keep the iMac vertical on its stand and, with the other smaller cables already disconnected, lift the display up and out of the ‘gutter’ at the bottom, and place its base on your work surface; there is enough slack in the LCD cable for that. Now it is very easy to disconnect the LCD cable, as it is in full view. Also nice and easy for reconnecting the cable too. I’m having an extremely difficult time trying to figure out how to remove the housing frame from the old display to transfer to the new one. Does anybody have any tips? Thank you in advance.